The discovery of a possible ancient man-made structure at Gunung Padang has fuelled interest in government circles. The interest comes from the President Susilo Bambang Yudhoyono himself and it includes a few of the upper echelon of Indonesia's science community along with their government institute of scientific research, LIPI. These efforts are a part of an on-going pursuit to find evidence of a civilization dating back thousands of years ago. 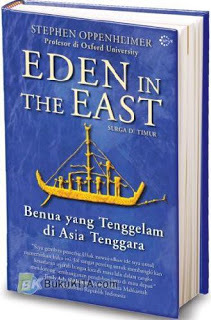 These theories became popular with the publication of Dr. Stephen Oppenheimer's book, Eden in the East in 1999 and a few years later with the late Professor Arysio Santos' book, Atlantis, the Lost Continent Finally Found. Both of these books would later be translated into Bahasa. Around this time, an Australian husband and wife team of marine archaeologists, Hans and Roze Berekoven were petitioning LIPI and the Indonesian government for permission to conduct surveys in the Java Sea. Back when Hans was a ship's captain on the survey vessel, Geco Emerald, he was conducting seismic surveys of the Java Sea for an Indonesian Oil Company. Hans noticed that the results showed a uniform depth of under a hundred meters making for a much larger Southeast Asian peninsula during the last Ice Age. That would have included a number of the Indonesian Islands including Borneo and Java when the sea levels were 150 meter lower. At this time, much the northern and southern hemispheres would have been covered in Ice, driving most of the human population to migrate to the tropical and sub-tropical zones in these latitudes. With a keen interest in archaeology and history, Hans theorized that the concentration of human inhabitants in these zones would force the hunter and gathering societies to evolve into practicing farming and animal husbandry. The fact that there has been little evidence of this can be explained by the fact that the larger settlements would have been concentrated in coastal areas near river mouths and the accompanying fertile deltas. At the end of the Ice-Age, with the rise in sea-levels all of these areas would be covered in layers of silt and 60 meters of water (See: The Ice-Age and its effect on Human Migration). 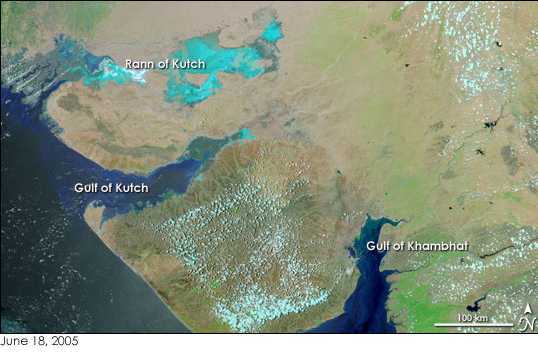 Near the end of 2000, a team of oceanographers from the National Institute of Ocean Technology (NIOT) made a startling discovery on a routine survey of the Gulf of Khambhat (formally Gulf of Cambay) on the coast of the Indian State of Gujarat. The sonar imaging results showed what looked like giant geometric structures over a number of miles giving it a city-like appearance and resembling the remains of ancient cities found in this area and the Indus Valley. In addition, the results show evidence of deep paleo-channels indicating the possibility of ancient rivers and estuaries extending further out to sea. Further excavation over the years brought up a number of artifacts of that would seem to indicate that they were of Pre-Harappan origin. Dating on a number of the artifacts and an analysis of sea-level modeling going back to the end of the ice age would indicate that these sunken cities might be in excess of 10,000 years old. As luck would have it, Hans was working off the coast of India when he heard about the discoveries on the radio. This clearly justified his thinking that there was the possibility of similar finds on the Sunda Shelf. When he and Roze decided it was time to begin their search of the Southeast Asian region, their first port of call was to visit the NIOT institute in Chennai to have discussions with the team there about their findings and examine the artifacts that were found. 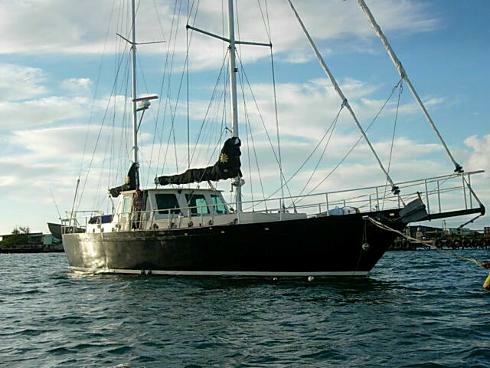 To enable them to conduct the surveys in this region, the Berekoven's purchased a 19-meter, ketch-rigged motor sailor, 'Southern Sun', and outfitted her with the necessary surveying and imaging equipment, which have seen a number of upgrades over the years. At the moment they are based out of Miri, in the state of Sarawak, Malaysia on the island of Borneo and have been conducting sonar surveys of the Rajang River extension in the area of the Laconia Shoals. So far their efforts have unearthed another historical find, the wreck of 170 year old British cargo ship, the HMS Viscount Melbourne, which they are excavating for a maritime museum soon to be located in Miri. With the release of both Dr. Oppenheimer's and Professor Santos' book into Bahasa, the Indonesian government has shown a keen interest to embrace the Sundaland civilization concept. In 2010, they hosted a conference on the subject, the International Conference on Nature, Philosophy, and Culture on Ancient Sunda Civilization. The Berekoven's were in attendance as honoured guests as well as Dr. Oppenheimer and the late Professor Santos' colleague, Frank Joseph Hoff as well as a number of other notable dignitaries and scientists from Indonesia and UNESCO. Recently, Hans and Roze made a trip to Indonesia along with one of their producers, Eric Madeja, from Treasure Images in Sabah to film their journey. The purpose of this trip was to reconnect with some of their colleagues there and learn more about the recent investigations into the megalith structures at Gunung Padang. 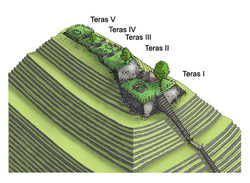 Through extensive surveys with electrical resistivity, ground penetrating radar and seismic tomography as well as having analyzed core samples from selected areas, the presidential research team have concluded that the mountain is actually a step pyramid dating more than 10,000 years ago. Accompanying them on this excursion to the sacred mountain site was Dicky Zainal Arifin, Madame Sita Sudjono, and Ahmad Samantho from the Baht al-Hikmah Institute along with a number of students, who were involved in his Atlantis Indonesia Organization.